Profiles | WEEKEND HANDICAP | Make your game better and prove it! Owen has played golf since 1985 when he worked for Canon South West in the UK. Back then he was a 28 handicapper (maximum at that time). He spent the next 27 years as a salesman, manager and entrepreneur. 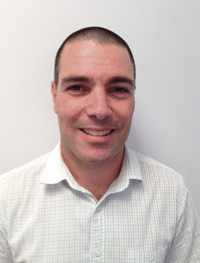 Immigrating to New Zealand with his life partner, Maggie, in 1991, he continued to work for Canon New Zealand as a regional manager. In 1995 he was asked to manage Stephen Scahill and then Mal Tongue. Then after he left Canon in 1997 he also managed Marcus Wheelhouse, Renee Fowler and various Pro golfers on tour. In 2002 Owen was one of the original PlusFore group who brought Tiger Woods to New Zealand. From 2004 till 2008 he travelled the world as Golf Autoscore General Manager, brokering the product to various organisations. 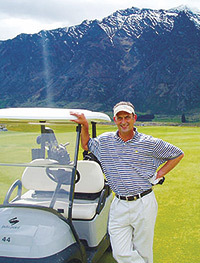 From 2000 till 2012 Owen was on the board of Miramar Golf Club, six years as Chairman and Club President. Owen is currently employed fulltime with Weekend Handicap and plays off a 9 handicap. Dion is a self taught web designer and developer. His first website was launched in 1999 as a freelancer. In 2006 Dion and his wife bought MW Graphics & Design, a boutique design agency in Petone, who specialised in custom built websites. Dion’s first game of golf was in 1996 and after catching the bug he became a member of the mighty Mornington Golf Club, where he lived at the time. Sick of losing balls, he then joined Wainuiomata Golf Club. Dion now plays off a generous 26 handicap and has a couple of young daughters. Due to time constraints with family and business he can only get out a handful of times per year socially, so is a huge fan of the Weekend Handicap.